I previously tried out and reviewed the Nose Wax Kit by Nad's which proved to be a rather interesting method of removing nasal hair! For more information on that, click here... So for today's post, I am going to be reviewing their Hair Removal Cream for the body which I must admit, was one of the most effective Hair Removal Creams I have ever tried out! Nad's For Men Hair Removal Cream removes unwanted hair within minutes and contains the soothing Aloe Vera ingredient which helps to protect your skin whilst the Hair Removal Cream is active. To begin with, ensure that your chosen area is completely clean, and then apply the cream onto the area but without rubbing it in. Once the cream has covered your chosen area, make sure that it is completely covered, and then leave on for 4 minutes. During the 4 minutes, with a soft cloth or cotton pad, slowly wipe off a small area to see if the cream is effective, if it is, leave on until the 4 minutes has passed, if it isn't, apply a little more. Once 4 minutes have passed, wipe off the cream and clean the area with water. I applied the Hair Removal Cream on my chest, and my upper arms to get rid of those pesky hairs! I found that the cream worked within the allocated 4 minutes and that the chosen areas felt incredibly soft afterwards with no hairs being left behind. I began to notice regrowth after 3-4 weeks and I was relieved that I didn't have a reaction to this! I would advise you to apply a small patch of the Hair Removal Cream on your chosen area 24 hours before application, to prevent any reactions/rashes from happening. Overall a quick, painless and scent-free Hair Removal Cream! You can purchase this here. 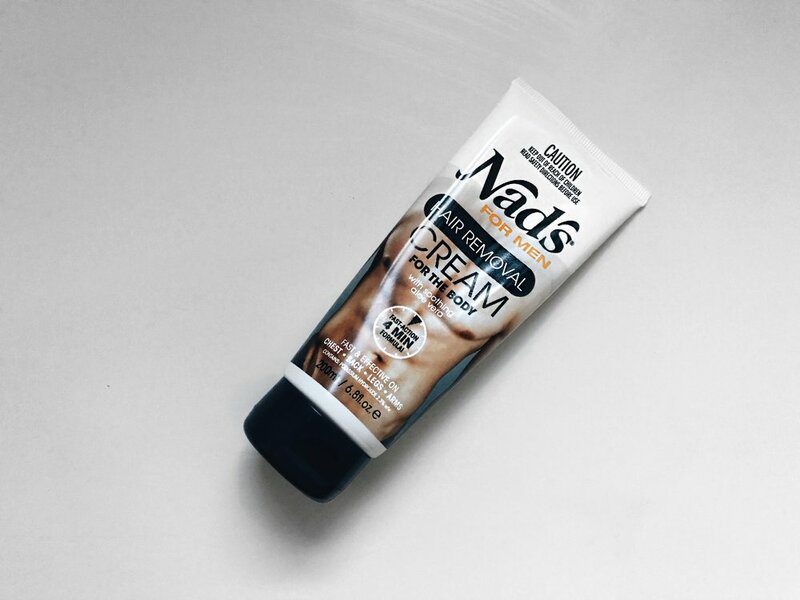 Have you tried Nad's Hair Removal Cream? How was your experience with it? Did you find it to be effective? What are your methods for removing unwanted hairs on your body? Do let me know your thoughts below as I would love to hear from you, and don't forget to click that 'like' button! Before application, it is imperative to make sure that your nasal hairs aren't any longer than 2-3mm as this will only feel more painful when waxing. Once you have cleaned your nostrils with a tissue, heat up the wax in the microwave for 2 minutes and then carefully dip the SafeTip into the wax, but do not dip down to the base of the wax pot! Just a small coverage will do the trick. The after effect felt a little numb for a while but felt much cleaner, and all of the little nasal hairs that were present before had gone! I found that the build up prior to the nostril waxing was more daunting than the process itself. Quick, easy and painless, albeit slightly messy! You can also use the other end of the applicator and use the spatula end to remove any hairs on the top of your nose. I don't particularly have many hairs on the top of my nose, so I didn't get the chance to use this, however, if you have used this before then do let me know how you got on! Have you tried Nostril Waxing before? How did you find it? Will you be trying this method out? Let me know your thoughts below as I would love to hear about your experiences with waxing, and don't forget to click the 'like' button!